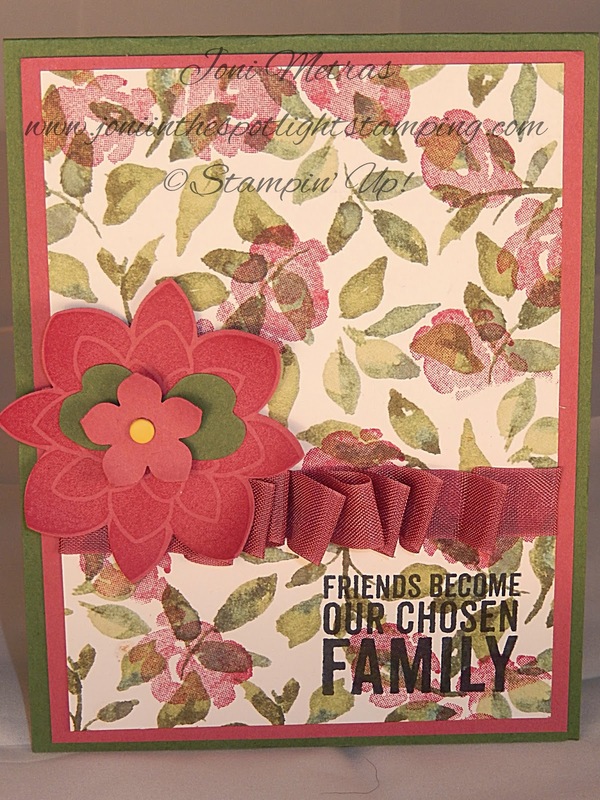 Creative Blog Hop by my friend & upline Angela Carter over at Angela's Ink Link! It's a fun little one-time blog hop!!! Then after I get to answer a few questions about myself! Very exciting! Projects can be anything we want! That's cool!!! 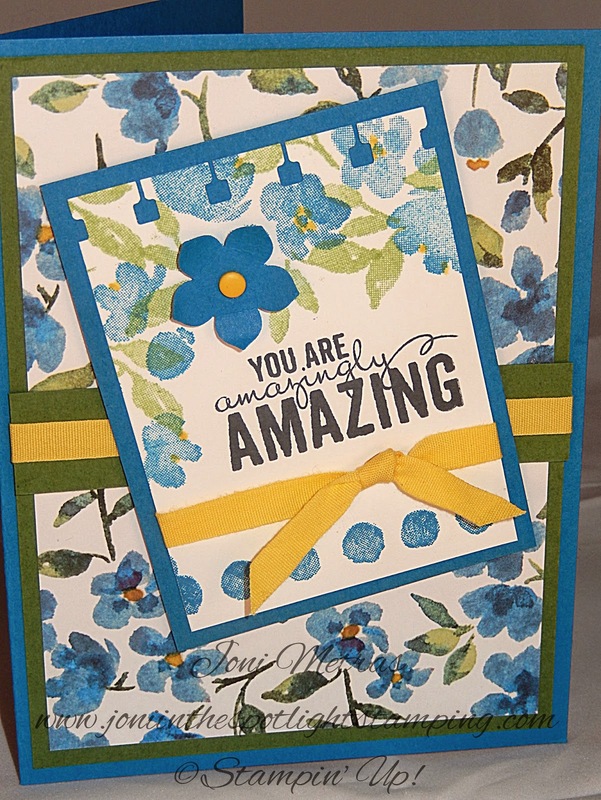 So today's post is to feature an amazing stamp set, Painted Petals. DSP-Painted Blooms! It can be framed with nothing else & still be beautiful! Daffodil Delight Ribbon! I love how these colors look! Striped Scallop Thinlets Die. Kept it fairly simple tho. That paper is beautiful but busy!!! Right now I am working on creating one of the Perpetual Calendars from our Occasions Catalog as a gift for someone! Don't wanna say who! I love this kit! I have made several already. It is very useful, and I have already referred to mine a couple of times! I like to look at it at the beginning of the month & then make the cards for my blog hops with the upcoming occasions in mind. Easy peasy too!!! 3.Why do you create what you do? I love to try new techniques! Whenever I see something I can't figure out I have to try it. I like to have a variety of "styles" and "skills" to pull from. Most of my cards are designed for one reason or another. A lot of them come from the several blog hops in which I participate. I enjoy giving a card to someone special. A friend of mine years ago, who has since gone to Heaven, kind of hit it home. When she was ill, I sent her a card weekly as she couldn't have visitors. When she passed, her husband told me she still had every single card I sent displayed around her room because she would look at them & they made her feel good. I guess that's why I create what I do. I'll take that to mean how do I come up with a project???!! So I first decide why I need the project. Birthday. Anniversary. Etc. Then I consider the person who will be receiving it. I try to gear the card personally. Then I pull what I think works for them. 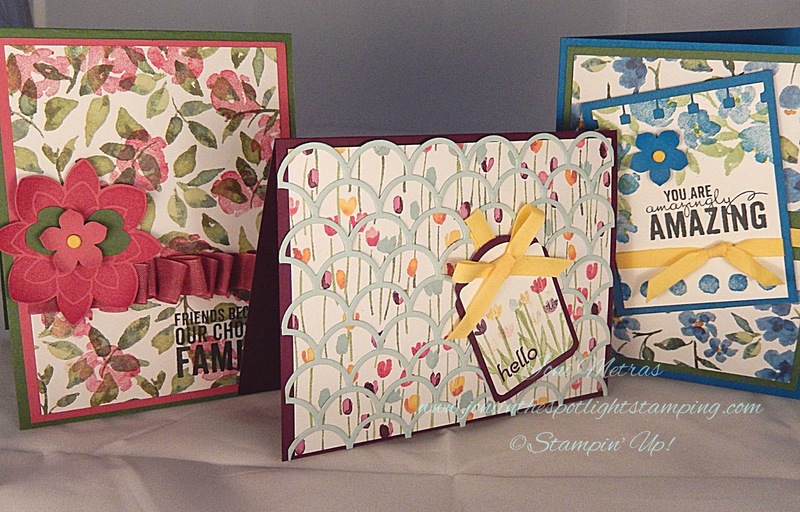 Now, if I'm just creating, I pull out a new stamp set & think of a design that would fit it! I also love to visit challenge blogs & use them as a "kickstart" to my design. That's particularly helpful when I get into a rut!! Teach to Stamp who has a similar clean & simple design to myself. Be sure to visit their blogs next week!!! !